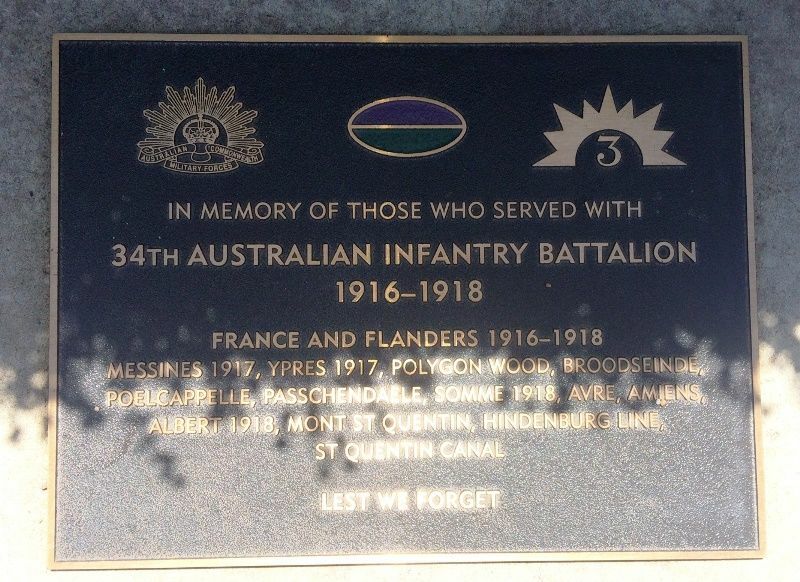 The plaque commemorates those who served with the 34th Infantry Battalion during World War One. The 34th Battalion was dubbed "Maitland’s Own" as it planned to draw the bulk of its recruits from the Maitland area in New South Wales, however a number of recruits hailed from north west of New South Wales. The battalion suffered 481 deaths and 1727 injuries during its 22 months in service.